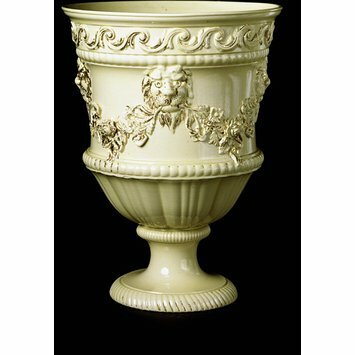 Sets of three, five, seven or even nine vases were known as 'suites of vases' in the 18th and early 19th centuries. They were commonly set out on mantelpieces, with the largest one in the middle. Both the decoration and the colour of the pottery indicate that the vase is an early example of Wedgwood's creamware. This is a type of pottery made from a mixture of clays from south-west England and calcined flint. 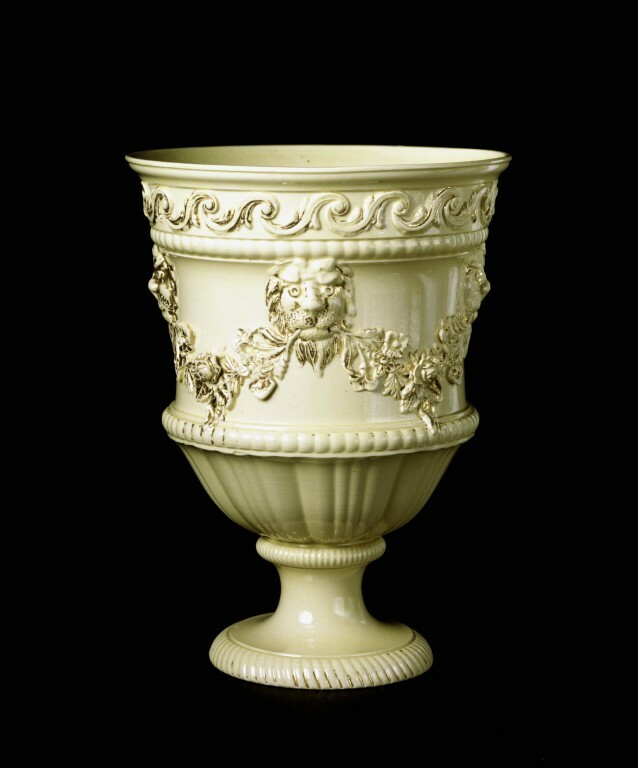 Wedgwood perfected his recipe for creamware in the early 1760s, when it had the deep cream colour visible here. The flutes on the lower part of the bowl of the vase were produced by engine-turning. 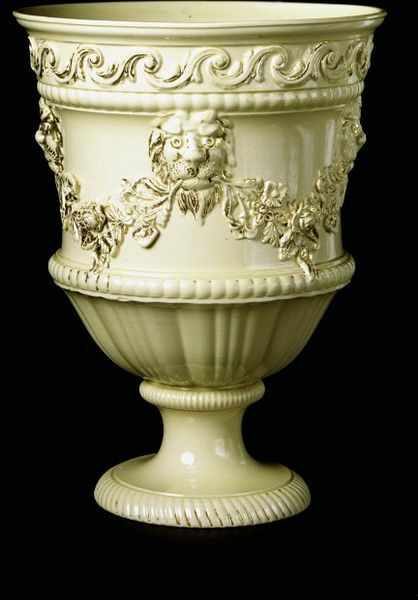 The technique had been used for ivory, wood and metals from the 16th century, and on rare Chelsea porcelain wares of the 1750s. Wedgwood introduced it in 1763 and claimed to have been the first to decorate pottery with the technique. Engine-turning is carried out on unfired pottery (when it is at the 'leather hard' state) on a special lathe. Unlike a simple lathe, which turns the workpiece about an axis, Wedgwood's lathe had an eccentric motion, with the movement of the workpiece guided by cams (projections on the wheel that converted the circular motion of the lathe into a variable motion).